As an online drug discovery platform, we have been helping pharmaceutical companies in the early phase of research processes. Although our compound sourcing solution and advanced computational tools have been continuously found helpful in the pharmaceutical industry, we are convinced that our capabilities could also be advantageous for academic research scientists. 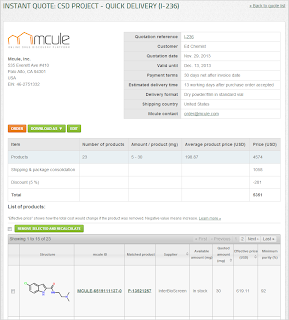 Mcule is the largest chemical webshop with more than 35 M compounds. In addition our platform contains multiple computational tools for searching and virtual screening, e.g. 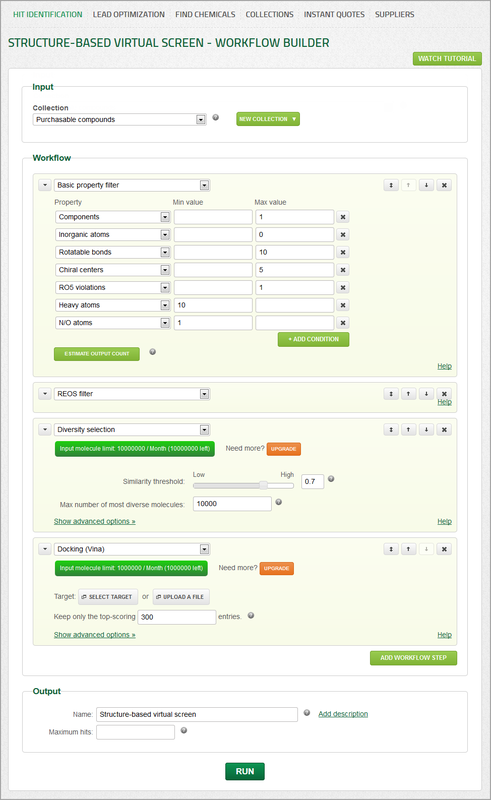 large-scale docking, scaffold hopping, diversity selection and property calculator. We intended to make our services easily available to use in academic research projects. We therefore introduced a subscription plan for academic researchers to get access to our advanced tools and higher limits for a reasonable price, even for short-term (1,3,6-month) projects. Moreover, with the help of our online price optimization algorithm one can easily finalize the virtual screening procedure by ordering the selected compounds. The best price and the fastest delivery time quotes are automatically calculated, and it is up to you which one you select. After generating a quote an effective price of products and suppliers will be displayed which could ease on your budget by removing the largest contributions to the price. Have you ever dreamt about the possibility to have access to the vast majority of molecules being relevant in the pharmaceutical industry? Now it is finally becoming real. Mcule has introduced the idea of a super-sized chemical library and announced the start of the so-called ULTIMATE DATABASE PROJECT. Our aim is to create a database of 500 million compounds, which would include completely novel molecules predicted to be synthesizable but not yet synthesized. 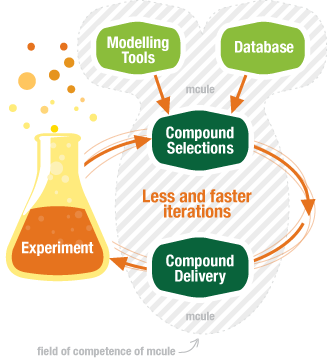 Compounds should meet the following standards to be considered in the Ultimate database: minimum of 80% success rate of synthesis, maximum of 6-week delivery time and fixed prices. A database of this size has yet to be made applicable for everyday use, and its integration with computational tools has always been a very challenging task due to the high demands of IT infrastructure to handle such a large size. However, using the online interface in our website one can easily access the full database, filter among the compounds, generate a quote, and complete the order. Thus, it has never been easier to identify more hits, eventually leading to reduced time and costs needed to be invested into the discovery of a new drug candidate. By ourselves we wouldn’t be able to achieve our goals, therefore we seek supplier and custom molecular synthesis partners who would like to contribute to this great cause. As for suppliers, our subscription form can be found here. For users, registration for an early access is available here. Please see our website for more information, https://mcule.com/ultimate-project/. Mcule, as considered to be an excellent solution for problems arising from the complexity of a drug discovery process is now even more dedicated to help your company achieve greatness. Having already contributed to research projects by providing essential services to pharmaceutical companies, it became very clear that the possibilities had still not been entirely utilized. Our services have long included molecular modelling tools, database of millions of compounds and covered all the subsequent duties that might come up during compound orders. 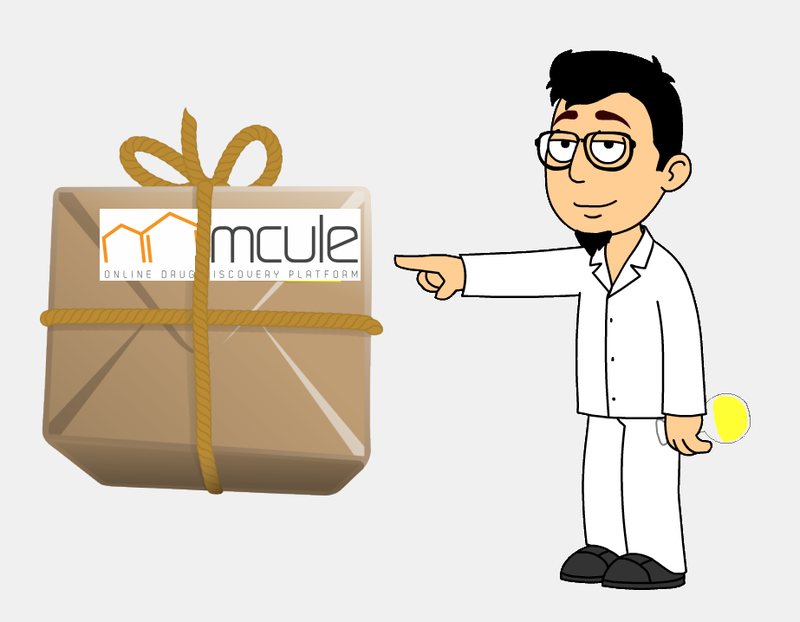 Beyond that, it is all completely online, and easily accessible through our website: https://mcule.com/. Now one could think that with a long-awaited solution being so complex in hand what else is left to be done? As long as the success rate of drug research is stuck at its current value, there is always going to be space for improvement. approximately 5 times of the size of the second largest database considering chemical webshops. Using a database of this size could be advantageous for several reasons. Upon the increase of the number of hit molecules your chance ending up with a potentially drug candidate is also growing. Moreover it is less likely for you to be working on the same exact scaffold another company has already put some effort into. Thanks to the many supplier catalogs we have managed to integrate into our system, a broad range of molecules are now available benefiting the always cumbersome initialization step of a drug discovery project. 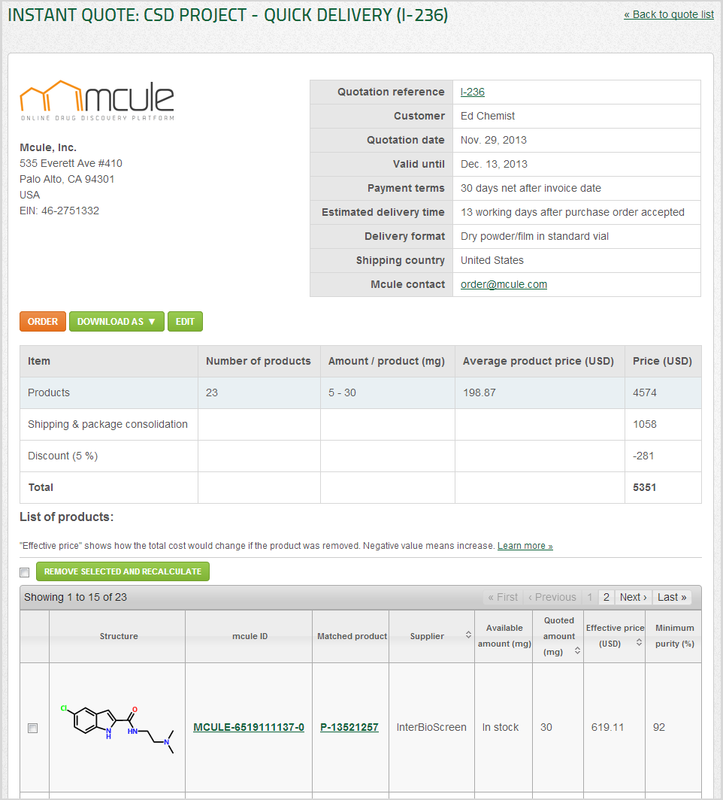 By just a few clicks, you can place an order for thousands of unique molecules with the optimized price or delivery time calculated. Around 6 million compounds are pre-synthesized, hence are available in-stock. The rest, 30 million molecules can be synthesized in one or two steps. For instance for a 6-week delivery deadline we operate with a success rate of 80%. 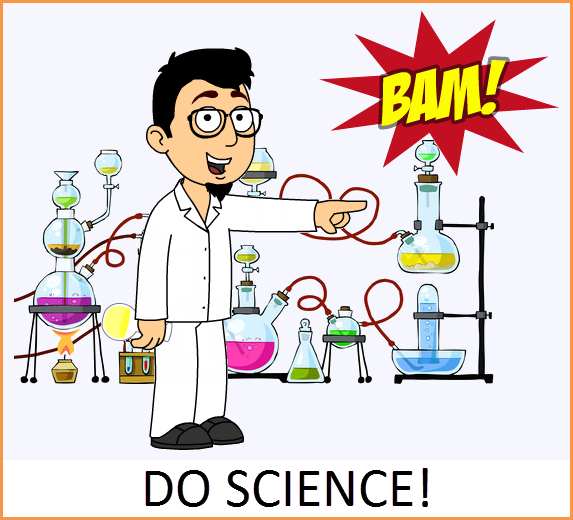 Start your drug discovery campaign with our help, and make the first steps much simpler! This is a huge funnel. On the top you can set the input molecule collection (e.g. the full Mcule database containing over 5 million purchasable compounds). At the bottom, you can define the output. In the middle you can set filters that will keep the desired molecules only. You can set physicochemical property filter, eliminate compounds containing potentially toxic substructures (REOS filter), apply diversity selection (to eliminate close analogs and generate a diverse set of scaffolds), molecular docking to find ligands that fit to the binding site of your target and more. All your search results and workflows are automatically stored in your profile. We already have a free package that you can sign up for here. In the Accelerator Program, we provide an elevated tool and limit set. Please note that the limits can be adjusted to your project needs, but here is what we offer by default. After identified the virtual hits (ligand candidates), you can generate the best price and fastest delivery time quotes for the compounds by just a few clicks. Read more on Instant Quote. Interested? Please submit research project plans (1 page max) to info@mcule.com (subject: Application to Research Accelerator Program). In case you need help for the first steps, you can check the Mcule documentation for more information. Need help? Feel free to contact us and we will guide you through the first steps. See the official website of the Accelerator Program. Instant Quote is an end-to-end online solution for quote generation, ordering and tracking. It basically spans the whole procurement process that is painful and time-consuming and scientists hate it. 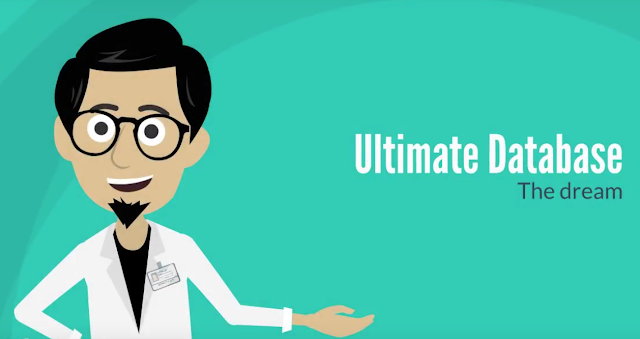 It helps to find the best offer for a selected set of compounds and get them delivered to your lab. 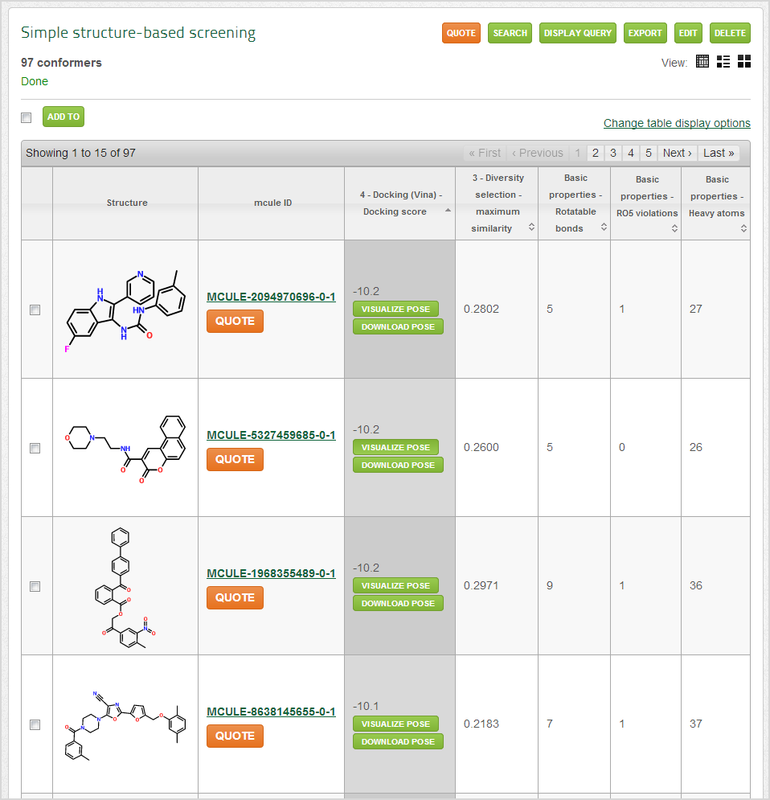 We have developed Instant Quote to make life easier for scientists working on drug discovery projects or just ended up with a task to procure multiple compounds. We went through this a few times ourselves and we didn't like it. 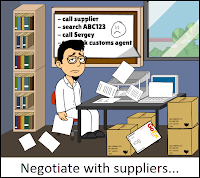 It takes so much time to contact and negotiate with suppliers, check the availability of compounds, try to calculate the best combination of products and suppliers, consider project deadlines, etc. 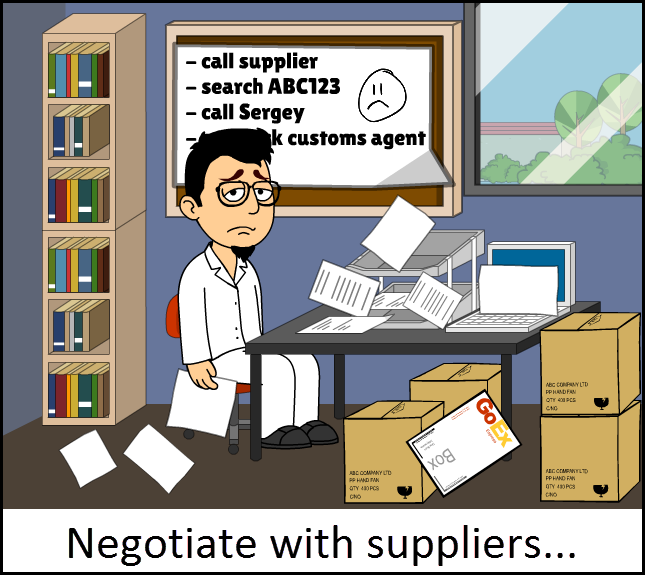 To eliminate these painful parts of compound procurement was part of the Mcule mission. The main benefits in a nutshell: Instant Quote eliminates e-mail communications from the whole process, thus it saves valuable time for scientists and procurement managers. Its unique algorithm calculates the best price and fastest delivery quotes in a minute. It can greatly reduce costs by comparing and optimizing compound prices, supplier discounts, small order fees, delivery costs, customs duties and reformatting options. 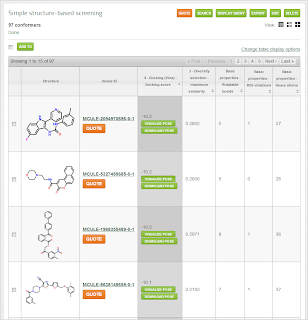 If you have created a collection containing your selected compounds, just click on the orange Quote in the top right corner of collections. We will ask for some basic information required for quote calculation. For example, you can specify the preferred and the acceptable minimum amounts per compound, min. purity, max. 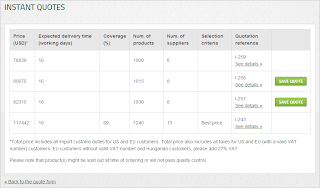 delivery time and the supplier catalogs (grouped by stock information up-to-dateness) to be included in the quote calculation. You can also select the delivery format here. We can implement any customer-defined formatting option to Instant Quote in a few days and it will be displayed in your personal account. This can be particularly interesting for organizations frequently ordering in a special format (custom vials / plates, DMSO solutions, etc.). 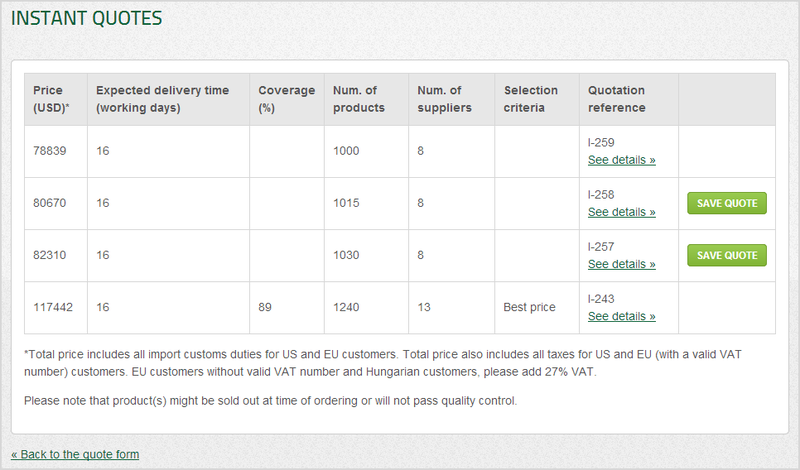 After filling out the Quote form, the best price and fastest delivery quotes will be calculated on-the-fly. We developed a unique optimization algorithm which calculates the best price and fastest delivery quotes by comparing and optimizing compound prices, supplier discounts, small order fees, delivery costs, customs duties and reformatting options. Since the same compound is typically available from multiple suppliers and there are many parameters to consider during quote generation, the manual price and delivery time optimization could be very challenging even for a relatively small order. Additionally, requesting stock availability information is time-consuming especially when the information has to be requested by e-mail. Our unique quote generation algorithm first automatically checks the stock availability for your selected suppliers. For almost 6M products we have access to the supplier's current stock levels that makes Instant Quote generation particularly reliable. In the next step, our algorithm finds the best product matches by minimizing the total price and the delivery time. Instant Quote generation typically takes 1-2 minutes even for thousands of compounds. After the optimization algorithm finishes the generated quotes will appear in the Quote list view. You first get a quick summary that we call the Quote list view. We list here the best price and the fastest delivery offers separately if the two differ. Click on “See details” to see the break down of the total price of the individual quotes and most importantly to fine-tune the quote by excluding particular compounds. After you selected the products you want to remove, click on the “Remove selected and recalculate” button and a new quote will be generated for the remaining products on-the-fly. You can fine-tune the quotes based on Effective price, stock availability and purity information. After you finalized your quote, you can save it and export it in PDF or Excel formats. You can go back any time when you are ready to place the order. Optionally, you can specify a Purchase Order number and upload a PO file issued by your company / institution. After you placed the order, you can track its status online by checking its unique URL. You can also request status updates and we will email you when the status of your order gets updated. All your ordered products will be delivered to you as a single package and we provide complete EU and US customs clearance service (customs duties and taxes are paid by us). Mcule does not charge any hidden customs costs to its customers. If you would like to test Instant Quote, you can freely access it until 31/03/2014. To get started, run a quick compound search on Mcule! For more information on Instant Quote, please check our brochure and quick user guide. If you like administration, please stop reading now. Otherwise, find out more about Mcule's brand new product: INSTANT QUOTE. It will make screening compound ordering a joy. 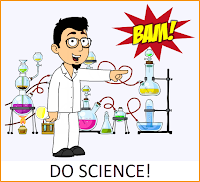 do early phase drug discovery lightning fast with mcule!